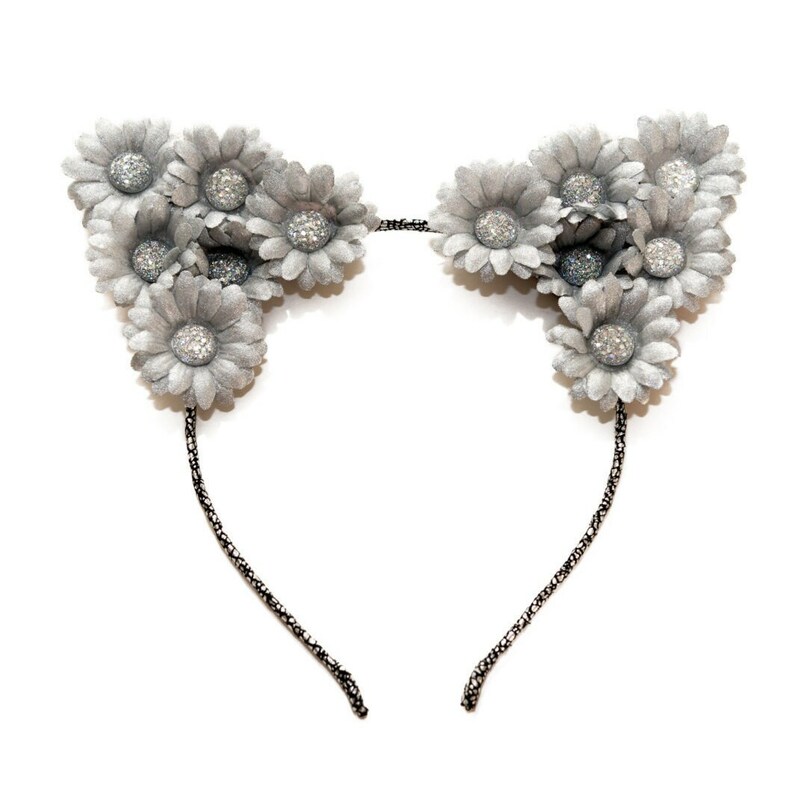 Sparkle and shine when you wear a pair of Kitty Katrina Silver Cat Ears! 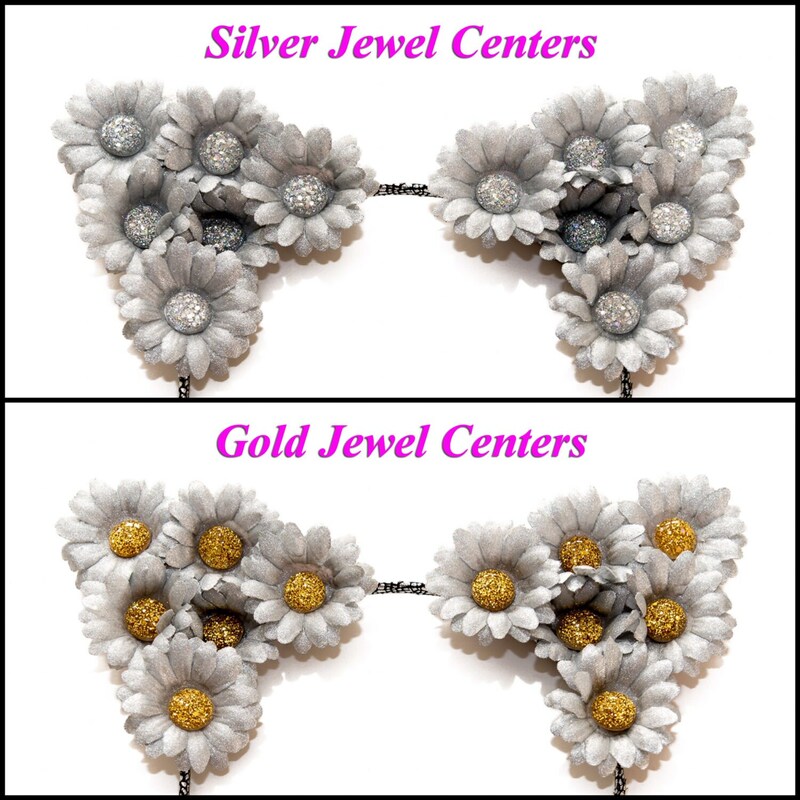 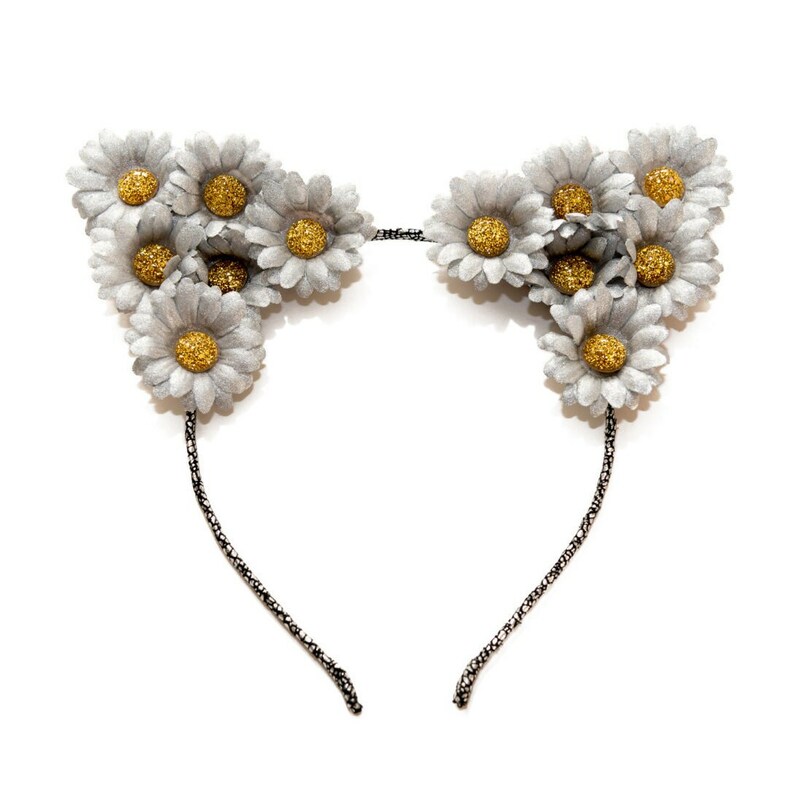 This headband features hand-painted silver daisies with your choice of sparkling, handmade silver OR gold jewel centers and a silver headband (see images). 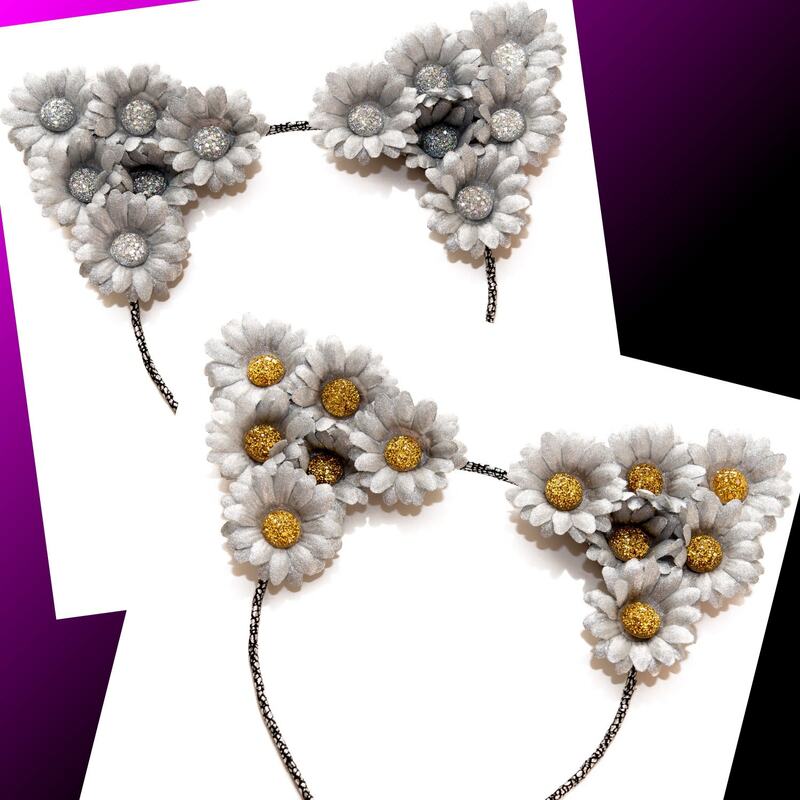 The sparkling jewels placed at the daisy centers are very magical and unique as well - handcrafted especially for this headband - you won't find jewels like these on a headband anywhere else!